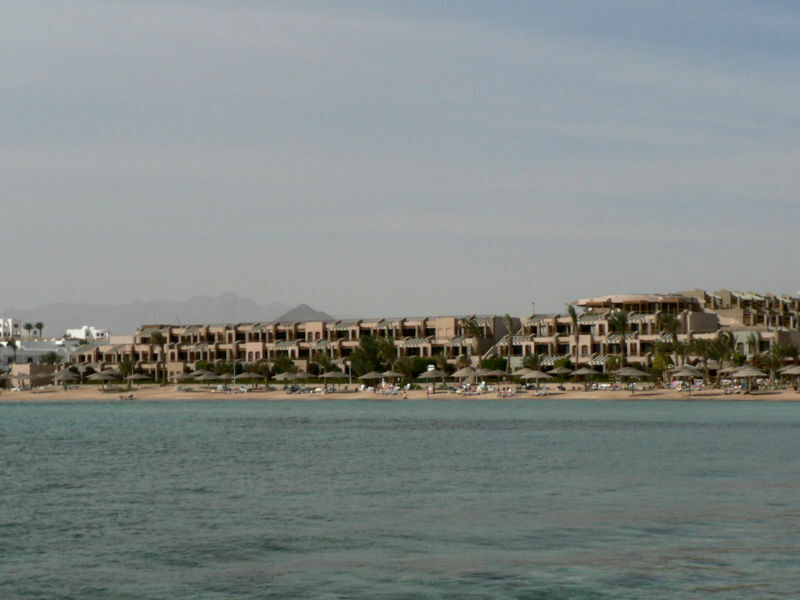 Location: Situated on the hotel’s own beach at Ras Nasrani; this hotel has wonderful views of Tiran Island. 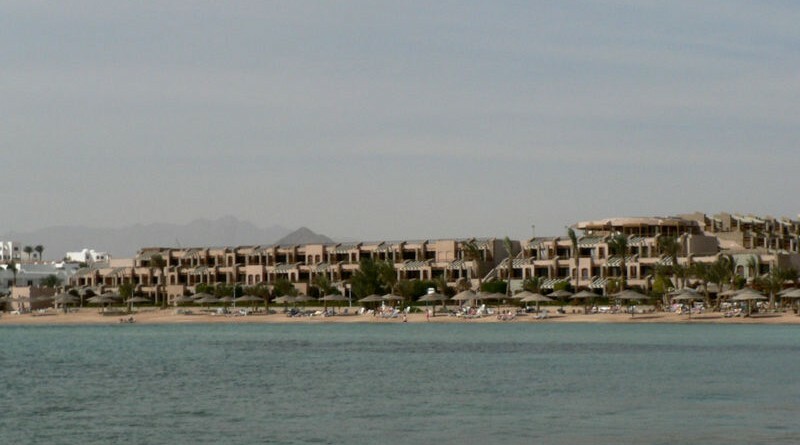 It is about 5 km away from the airport and about 10km to Naama Bay which has shopping and entertainment facilities. A shuttle bus is available for a small fee. Hotel: This spacious 4 storey hotel resort has three bars, a beach bar and two restaurants; one as an open buffet for half-board guests, and an ala-carte restaurant. There is a shopping arcade, disco, TV-corner, and casino. 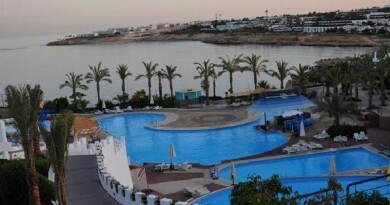 The hotel has a large swimming pool with separate children’s pool and sun terrace. Sun loungers, cushions and sunshades are available by the pool and on the beach free of charge. Accommodation: The hotel has 351 rooms which are spacious and tastefully decorated. Each room has a telephone, Satellite, mini bar, a/c, shower/WC, hairdryer and a balcony or terrace. Most rooms have a sea view. Sport/Entertainment: The hotel has sand Tennis court, table tennis, fitness room, billiards, health club with sauna and massage. There are water sports are available for a fee, and regular evening entertainment with traditional shows.